This week, The Boston Globe Spotlight team shines light on sexual abuse at elite New England boarding schools, and it prompts more investigations and more allegations. Connecticut’s unpopular Democratic governor said he’s not running for re-election. We find out why, and ask why so many blue New England states are now being run by Republicans. And we hear about “duckling diplomacy” in Boston and Moscow. Steven Starr, a former student at the Fessenden School in Newton, Mass., shows photos of him at 11 taken by teacher James Hallman, who Starr says molested him. Image courtesy of The Boston Globe Spotlight Team. 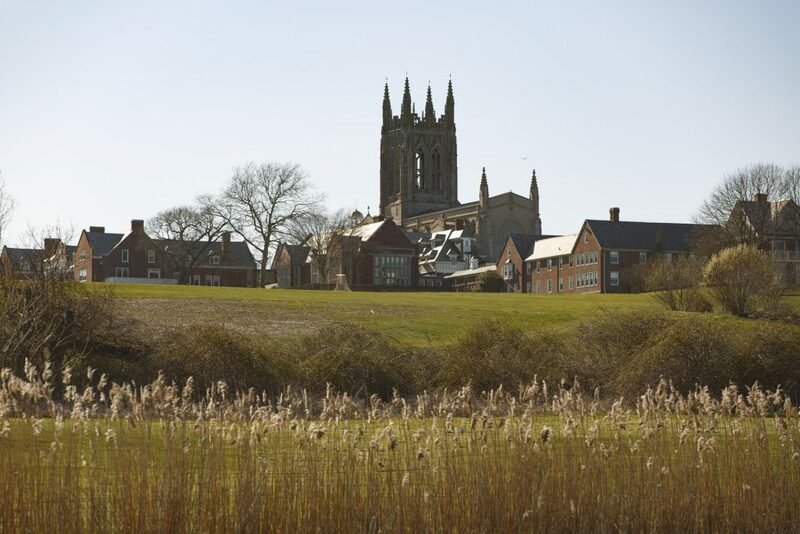 A new internal report from Choate Rosemary Hall in Connecticut names 12 former educators who allegedly sexually assaulted students at the elite boarding school between 1963 and 2010. It’s the latest school to release it’s own findings since a Boston Globe Spotlight Team investigation last year revealed allegations of sexual abuse at over 67 private schools in New England. In many cases, the alleged abusers were fired or allowed to resign without being reported to law enforcement. Like Choate Rosemary Hall, other schools have launched their own investigations after the Spotlight report was published last year, uncovering more disturbing stories. Our guest is Jonathan Saltzman, a reporter on the Globe Spotlight Team who took part in the investigation and authored an article on Choate Rosemary Hall’s report last week. Why Does Blue New England Love GOP Governors? When political observers look at a map of the U.S., most of them put a blue placeholder on New England. For many reasons, our region is both in reputation and reality a place where Democratic politicians and liberal ideas flourish. So, why – when you look at the current political landscape of New England, do you see such success by Republican governors? A recent poll by Morning Consult that ranks America’s governors by popularity shows Charlie Baker of Massachusetts at a whopping 75% approval rating. He’s even more popular in the Commonwealth than high-profile liberal standard-bearer, Senator Elizabeth Warren. Vermont and New Hampshire’s newly elected Republican governors – Phil Scott and Chris Sununu, are both enjoying very high favorable ratings, and even the outspoken and controversial Paul LePage is approved of by roughly half of Mainers. 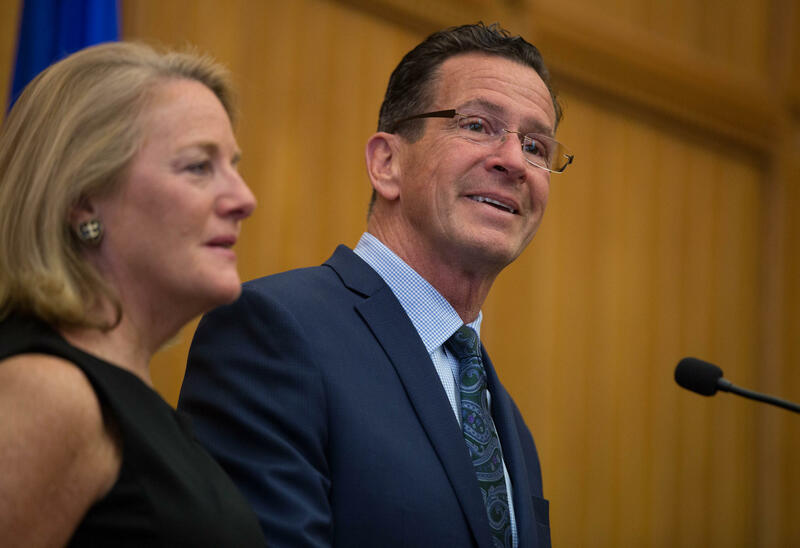 That leaves only two Democrats – Rhode Island’s Gina Raimondo and Connecticut’s Dannel Malloy. And Malloy announced last week that he won’t be running for re-election. We wanted to learn more about how New Englanders view their governors, so we sat down with a panel of experts. Dan Haar is a columnist for The Hartford Courant. Maureen Moakley is a Professor of Political Science at the University of Rhode Island and a part of the Political Rountable team at Rhode Island Public Radio. Andrew Smith is Associate Professor of Practice in Political Science at the University of New Hampshire and director of the UNH Survey Center. At the 121st Boston Marathon on Monday, the winner of both the women’s and men’s races were Kenyans: Edna Kiplagat and Geoffrey Kerui. While Kenyans have dominated the marathon over the last three decades, Ethiopians have been more successful in recent years. 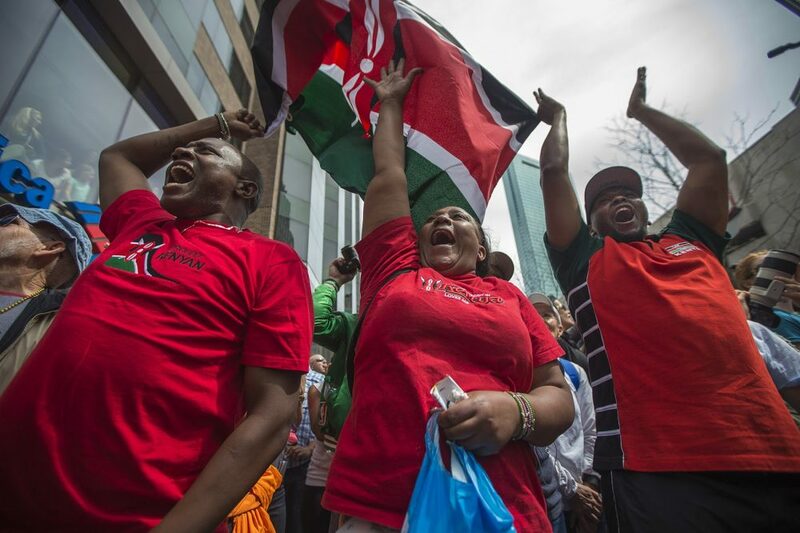 So Monday was a great day for members of New England’s Kenyan community, some of whom were at the finish line. WBUR’s Simón Rios reports. 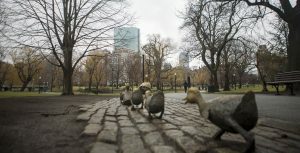 Walk a few blocks from the marathon finish line in Copley Square to the Boston Public Garden, and you’re sure to find children surrounding a family of ducks made out of bronze. The life-sized statues depict Mrs. Mallard and her children: Jack, Kack, Lack, Mack, Nack, Ouack, Pack and Quack. While the ducklings from Robert McCloskey’s children’s book Make Way for Ducklings have become a Boston icon, this is not their only home. 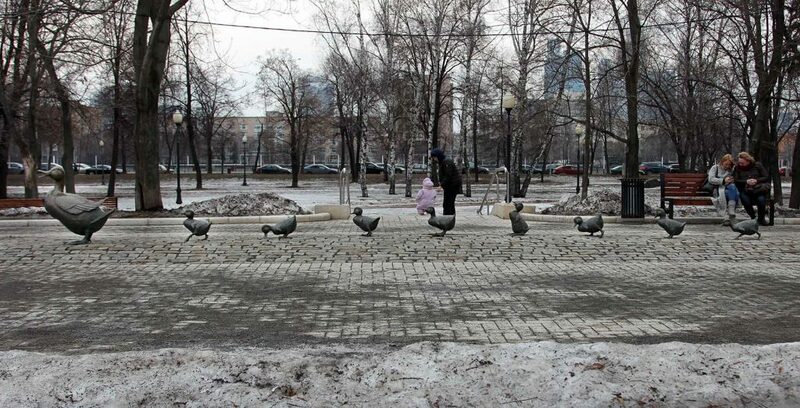 WBUR’s Bob Shaffer reports on the identical public art project erected in Moscow. You can think of it as a monument to Cold War diplomacy. We appreciate your feedback! Send praise, critique, suggestions, questions, story leads, and pictures of your local public art to next@wnpr.org.